My Twitter addiction started this Alice in Wonderland adventure. I noticed a photo that singer Katy Perry had tweeted, with the caption “Last night I fell down the rabbit hole & ended up @ the Alice N Wonderland themed restaurant! It was SO Kawaii!” Being a huge Alice fan (and Katy Perry fan…), I had to find out exactly where she was! 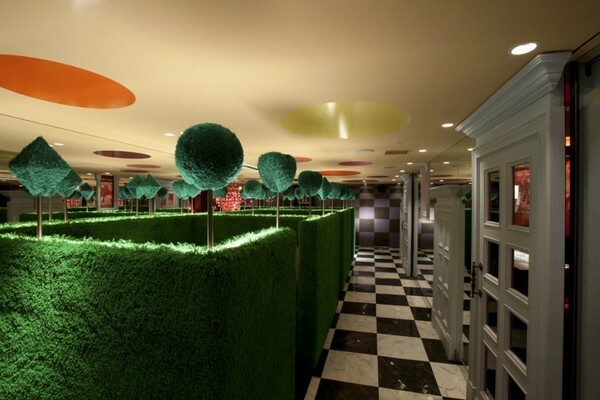 Japanese company Diamond Dining joined forces with design studio Fantastic Design Works to create an amazing Alice in Wonderland themed restaurant. 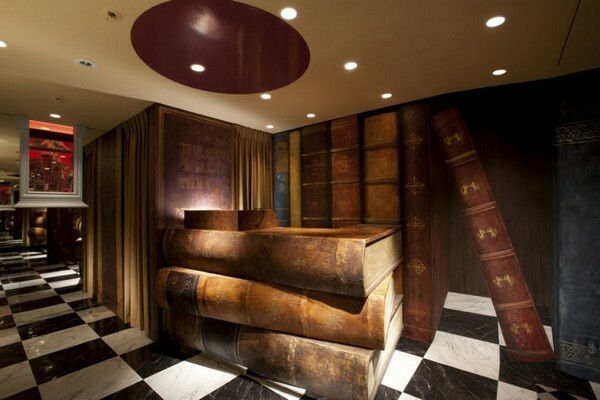 There are in fact four Alice restaurants in the Diamond Dining stable, with the latest in Tokyo’s Ginza shopping district. 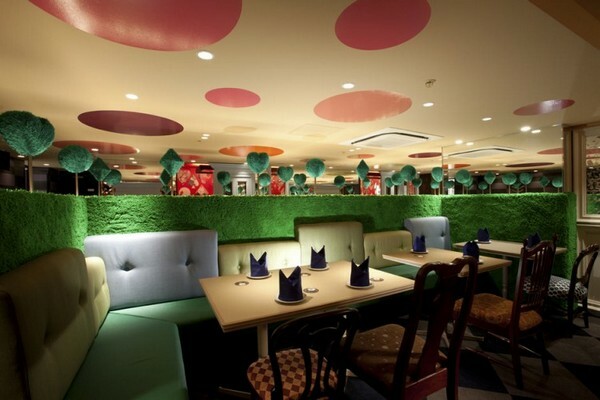 Like all things Alice, the restaurant is a bizarre mix of dramatic, fun and psychedelic elements. 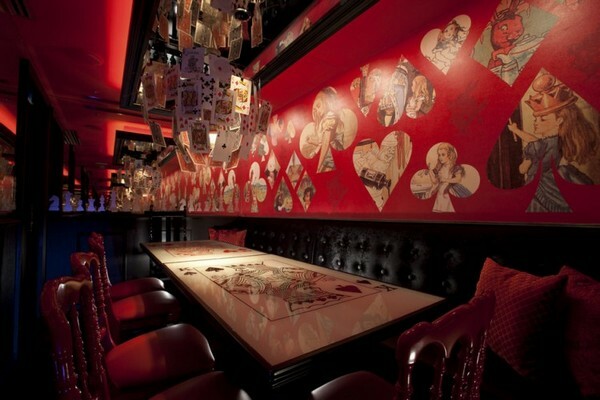 Rabbit holes, playing cards, hearts and mushrooms feature heavily in the decor and the designers have also used large scale pieces to reflect Alice in her ‘shrunken’ version. 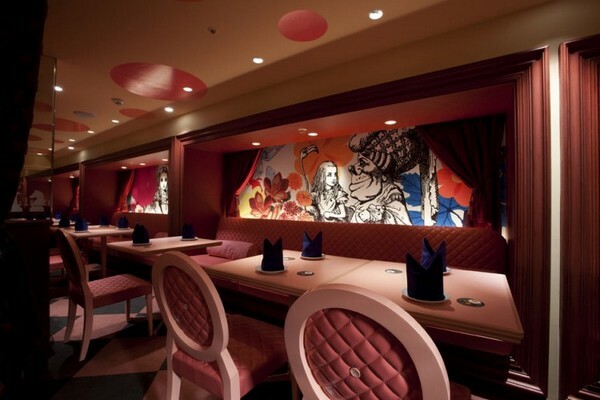 The Tokyo restaurant is divided into various scenes from the 1951 animated film and includes a number of themed private dining rooms. I particularly love the teacup chandeliers and the curved playing card ceilings. Want more story-book hospitality? Check out our previous posts on Eloise at the Plaza Hotel. Then take a look at our other Alice in Wonderland posts if you feel like getting lost in Wonderland.